Fireworks are a popular and elemental way to greet and celebrate the New Year around the globe. A delightful display of light, colour, motion, sound and smell heralded in 2017 in Hobart, Tasmania. 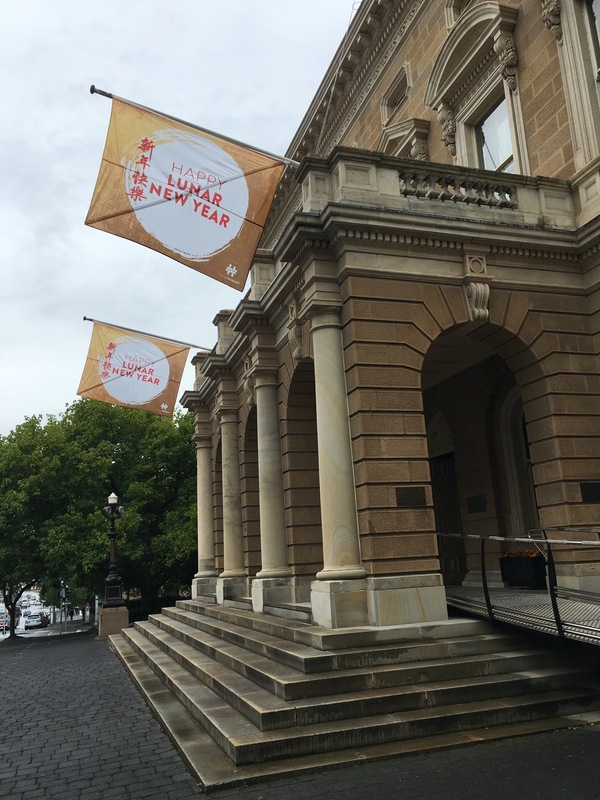 With the New Year Fireworks over, in mid-January the ‘Season’s Greetings’ banners have come down and the ‘Happy Lunar New Year’ ones have gone up in Hobart. In China, the second new moon after the winter solstice marks the start of the Lunar Calendar and the change in the Chinese Zodiac signs. In 2017 the ‘Year of the Fire Rooster’ begins on January 28th. The traditional Lunar New Year is a public holiday in China named the Spring Festival. Combined with ancient traditions, the Lunar New Year is seen as the real New Year’s day in China (source: history.stackexchange.com). Celebrations are held locally by the Chinese community in Hobart with lion dances, dragon dances, cultural displays, food stalls and more for all to enjoy. In Japan the Chinese Zodiac calendar and 12 Zodiac animals were officially adopted in 604 AD. Until 1873 the New Year was also celebrated in Japan on the second new moon after the winter solstice. Now the principal celebrations and adoption of the new Zodiac animal occur on January 1st, although some temples and shrines continue to commemorate the Lunar New Year. 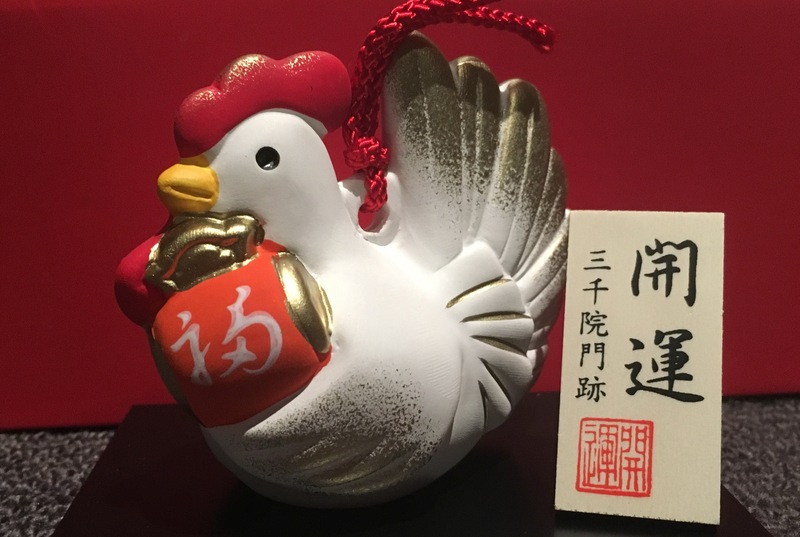 This fine example of the 2017 Fire Rooster comes from Sanzen-in Temple in Ohara, a town in the mountains of northern Kyoto. Two of these roosters came home with me from Japan to pass on to two family members born in the Year of the Rooster. Each of the twelve Zodiac years is associated with one of five elements: Metal (Gold), Wood, Water, Fire or Earth. A Fire Rooster comes once every 60 years in the Zodiac cycle. For those interested in the Chinese Zodiac, as I am, fire is not the only element destined to influence the next 12 months. As noted in The Japan Times, “Each of the 12 Chinese zodiac years is governed by one of five elements: wood, fire, earth, water and metal, resulting in 2017 taking the element of fire. According to the Five Elements Theory, however, each of the zodiac animals is also associated with an element. For the rooster, that element is metal. A rooster year, therefore, has long been associated with the fruits of metal such as jewelry and other decorative arts“. In recognition of the connection between the Rooster and metal, The Japan Times published an article that features three metalsmiths and the passion for their art. Thanks goes to John Dougill for alerting me to the article. It reinforced my sense that 2017 is going to be a big year for the elements. Closer to home, two exhibitions in Hobart related to the elements caught my attention in the first two weeks of 2017. One on fire and one on water. These elements are both complementary and opposite. The approaches taken in the exhibitions are certainly contrasting. They reflect the varied relationships that individuals can, and do, have with the elements. 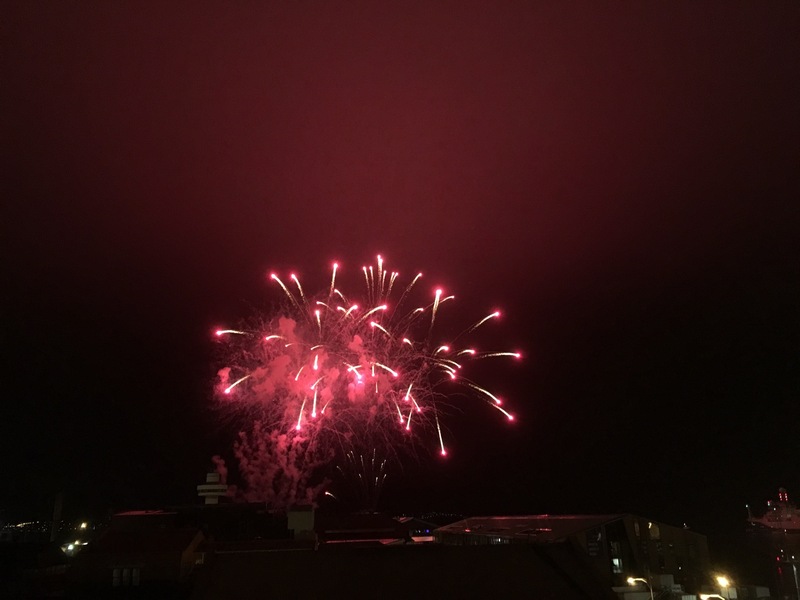 For many people living in Hobart, it is the element of Fire that is on people’s minds early in the new year, although it has little to do with Roosters or the Chinese Zodiac. February 2017 marks the 50th anniversary of extensive bush-fires that caused considerable damage to property and loss of life in Tasmania, particularly in the capital city. 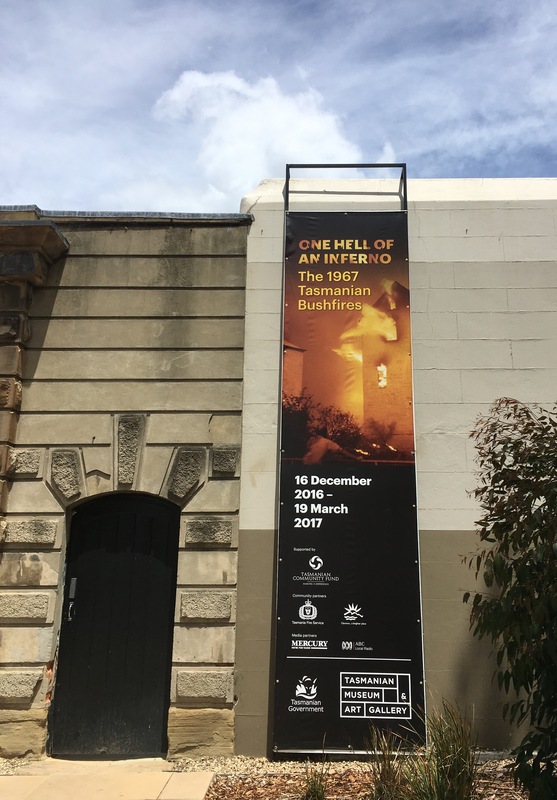 To mark the event a special exhibition called ‘One Hell of an Inferno‘ is being held at the Tasmanian Museum and Art Gallery (TMAG). The book shown below has also been released documenting the history of fire in Tasmania since the early 1800s. For me, the lasting impression of fire in the exhibition and book is one of fear and devastation. The message from Indigenous Tasmanians in the exhibition was that rather than fearing fire, we should respect this phenomenal natural force and learn how to live with it. For me, their voice was overpowered by the overwhelming imagery and sense of loss and destruction that fills the first hall of the exhibition. It would be interesting to know what feelings other visitors to the exhibition took away with them. 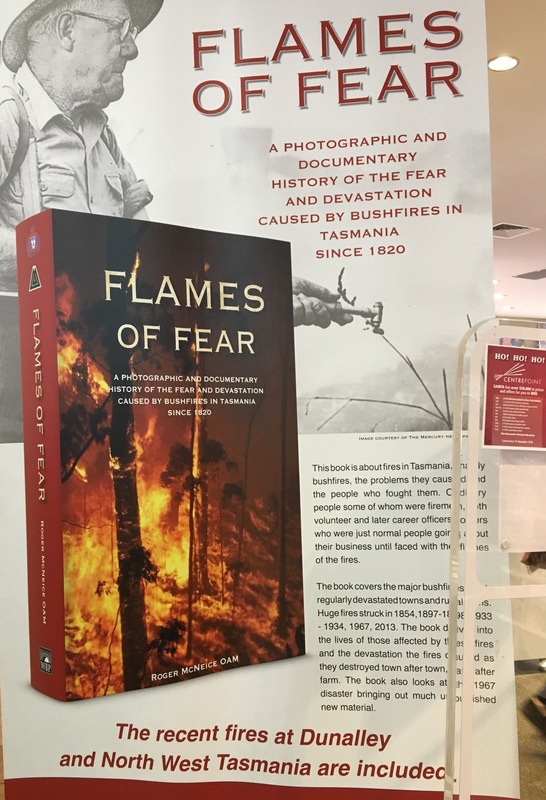 The book ‘Flames of Fear‘ was released in late 2016 to coincide with the 50th anniversary of the 1967 Tasmanian bush fires and the associated TMAG exhibition. The language used in the title and advertising for the book immediately put me on edge. The word ‘devastation’ appears four times. The book ‘Living with Fire: People, nature and history in Steels Creek‘ presents another perspective on the response of an Australian community to fire. Written after the major 2009 bush fires in Victoria, the book uses a series of essays and interludes to examine the relationship between people and place. One essay is devoted to the use of artwork to express the grief, shock, sadness, and relief of community members following the fires. The stories of the Steels Creek community show how they have redefined themselves in the wake of fire, ‘offering a way to understand the past, and in doing so, prepare for the future‘. The different approaches taken in the two books on fire illustrate the importance of language and perceptions in our relationship with the elements. 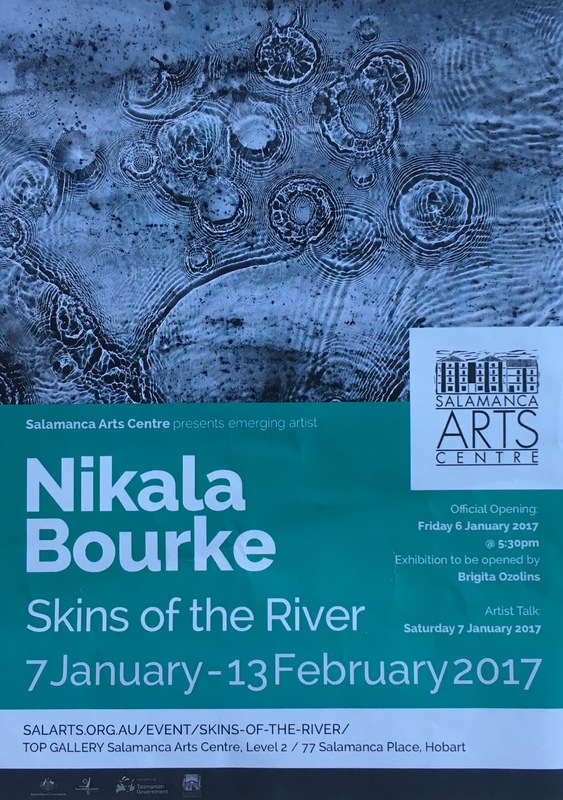 The second exhibition I visited in Hobart in early January 2017 focuses on water. The title ‘Skins of the River’ really caught my eye. It is being held in the Salamanca Art Centre in Hobart until February 13th as part of the emerging artist program. In Nikala’s exhibition the images are presented as a collaboration with water, with the artist submerging hand-cut photosensitised sheets into a river at night. The resultant photograms ‘reveal a natural language of symbols and traces: cosmic phenomenon of the river contents, mirroring it’s motion, strangeness, wildness, stillness and peace’. Nikala will further explore her relationship with water in 2017 in her Honours year. I shared two of my posts on water – on ‘the blue mind’ and the impact of energy/vibrations on water – with the artist. I hope they will assist her research in some small way. I know that after having seen Nikala’s exhibition my perceptions of water, especially at night, have been altered irrevocably. Every day we interact with the elements on a personal level, whether we live in the city or the country. So far this year in Tasmania it has been wet, dry, warm, cool, windy and calm. Variety rules! The clouds have been captivating as always. 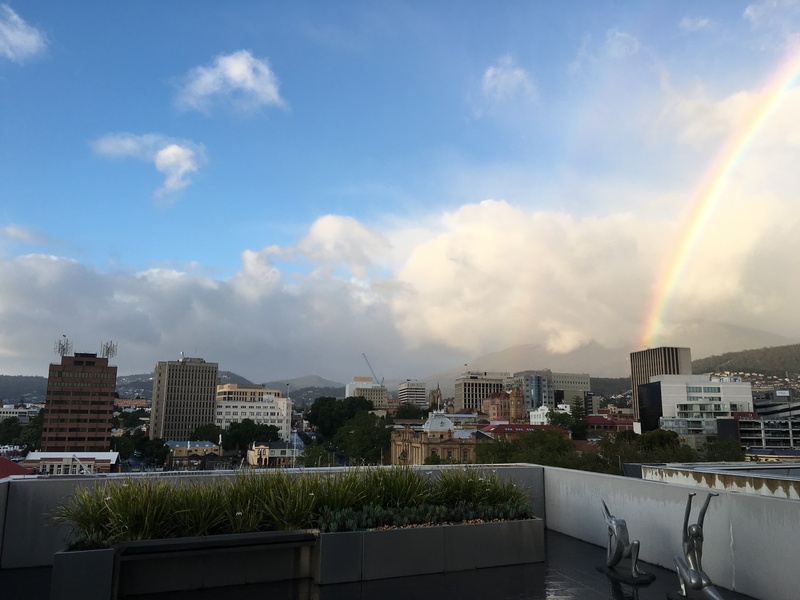 And to top it off this morning, a rainbow – with a hint of a second – over kunanyi/Mt Wellington. The elements bring much wonder to our lives. 2017 has got off to a cracking start, elementally speaking. As well as the shared experiences above, I have already added to my collection of books on the elements. My best find so far was a book on Vastu, described as the Indian equivalent to Feng Shui. It’s a fascinating system of architecture related to the flow of energy in buildings and the surrounding landscape. And the five elements play a fundamental role. You will definitely hear more about it this year, the Year of the Elements. Please spread the word. This entry was posted in China, Fire, Indigenous knowledge, Japan, Story telling, The five elements, Visual Arts, Water, Zodiac and tagged Buddhism, China, Energy, Fire, India, Japan, rivers, the elements, Water. Bookmark the permalink. The year of the Fire Rooster started with an almighty bang in the Philippines, where around midnight as virtually the whole population let off fireworks in anarchic manner. Little children run around with sparklers, bangers and even rockets, resulting in some grievous injuries. As an animal rightist I find the human delight in loud explosions to be highly unsettling, not just personally but on behalf of terrified pets, goats and other creatures that inhabit human settlements. If animals can get traumatised, I’m sure there are thousands of dogs and cats suffering from PTSD as a result. Fireworks may look pretty but why do they have to come at such a price? That’s a good observation and question John. The fireworks in Hobart were over the river. They would certainly be noticed by fish and birds nearby, as well as domestic animals. The impact of phenomenon such as tsunamis and fires on non-human animals is also an area that requires more attention. Humans generally focus on how an event impacts on them, either positively or negatively. I agree John 103% – graham who likes quietness..
Of relevance to fireworks and non-human animals is my post on how they sense the elements. I titled it ‘Watching and truly listening’ (see https://fireupwaterdown.com/2015/12/12/watching-and-truly-listening/). The post provides food for thought about how fireworks could be particularly jarring to our animal friends. They generally have much more heightened senses than we do. You would be SO good at organizing an exhibition like this, and any other for that matter!